Some of you will already be aware that a new Sergeant has taken over the area and has already been out and about in order to become familiar with local issues. 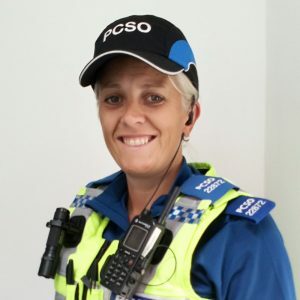 I would ask in the first instance that you contact the local PCSO or PC but for any urgent matter I can be contacted, and any ongoing issues I will obviously become involved. I am new to the role of PSCO but I bring with me many skills from working with teenagers for many years. Previously a Behaviour and Welfare Officer (aka Head of House) and Safeguarding Lead in a number of schools, including Holmes Chapel Comprehensive, Malbank Secondary School and Coppenhall. I have worked in education for 18 years supporting young people and their families.